We are pleased to invite you to our Workshop on Modelling in Biology and Medicine (MBM). The workshop will take place on 9th and 10th May 2019 in Gothenburg, Sweden. We aim to gather all young researchers in Sweden working on modelling of biological systems. Our ambition is to give all participating PhD students and PostDocs the opportunity to present their work through an oral presentation or a poster. Further, we wish to provide an insight on how modelling in biology and medicine is practiced in academia and industry. We are looking forward to meeting you at the MBM workshop! A selection of topics that are suitable for posters and talks at this workshop. Topics not on this list but related to modelling in biology or medicine are also very welcome! We are a small group of doctoral students working at the Department of Mathematical Sciences, Chalmers University of Technology and University of Gothenburg, as well as the Department of Systems and Synthetic Biology, Chalmers University of Technology. Matteo has recently become professor at the University of Surrey and has a background in industrial biochemistry, molecular biology and computational modelling. His research focuses on integrating experimentation and computation to gain insight on cellular organization. His main areas of focus are temporal control of gene regulation of cell cycle control and multi-scale frameworks that integrate cellular regulation. Continuity of life is sustained by time-dependent responses of biological networks that are associated to oscillatory behavior of their components, at a proper frequency. The eukaryotic cell cycle is such an example, with waves of enzymatic activities being tightly regulated to guarantee its frequency. Therefore, molecular designs that exhibit a proper frequency of enzymatic oscillations are inherently crucial for a timely cell cycle progression. In this talk, I will show how computational frameworks, such as kinetic modelling, Boolean modelling, and multi-scale modelling, may serve the purpose of investigating how a timely cell cycle progression is achieved, possibly resulting in the identification of novel principle of design that ensures a timely cell cycling. Named Winner of MIT Technology Review's Innovators Under 35 in 2018, Francesco co-founded Elypta in 2017, a molecular diagnostics start-up focussed to improve the survival outlook of cancer patients by developing systems biology-driven biomarkers. He invented a diagnostic and prognostic test for renal cell carcinoma based on an exceptionally accurate liquid biopsy, which leveraged on a novel systems biomarker for this common form of kidney cancer. This test recently showed unprecedented potential for other cancer types. An ultimate goal of fundamental research is to improve the life of our people. Systems biology research can help patients to live better and longer by integrating data on their disease into personalized treatment. This is the core of precision medicine and requires innovation in therapeutics and diagnostics. During this talk, I will show an empirical model to make precision medicine a reality, a path set forth by innovation and a path that scientists have a privileged if not an exclusive access to. I will illustrate this model within the context of my own journey with Elypta, a molecular diagnostics start-up I cofounded in 2017 starting from a systems biology research project initiated during my doctoral studies. 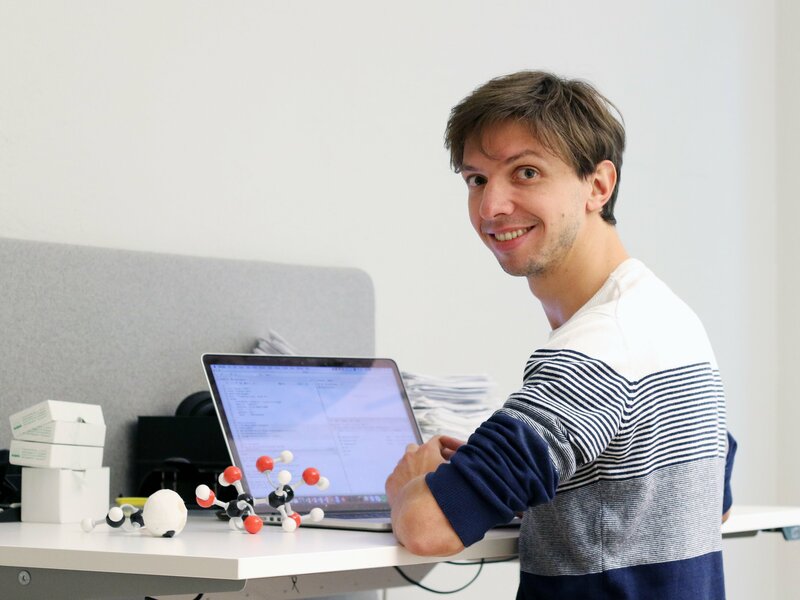 Peter works on mathematical modelling of biological systems and their interactions with drugs (systems biology and pharmacokinetics/pharmacodynamics). He is focusing on systems relevant for metabolic and cardiovascular diseases. In his work, he develops and analyses mathematical models of different granularity, and apply them in the preclinical phase of drug discovery. He collaborates closely on systems biology research topics with Gunnar Cedersund at Linköping University, for instance on modelling of micro-physiological (organ-on-a-chip) systems. The talk generally describes what type of mathematical models are used in the preclinical phases of drug discovery in the pharmaceutical industry, and how these models are implemented and applied in the discovery process. Focus is on how to translate the pharmacokinetics and the pharmacodynamics of a drug candidate between in vitro systems, animal models and humans. The talk includes several specific examples from the metabolic and cardiovascular areas. Dr. Adil Mardinoglu works as a Professor of Systems Biology at King’s College London, UK and Royal Institute of Technology (KTH), Sweden. His main area of expertise is in Systems Biology/Medicine, Computational Systems Biology and Bioinformatics (http://sysmedicine.com). His research focuses on the generation of the context specific biological networks for human cells/tissues as well as certain types of cancer including hepatocellular carcinoma by integrating multi-omics data. Such comprehensive networks are employed to identify novel biomarkers and drug targets that can be used for the development of effective treatment strategies for NASH/NAFLD and other obesity-associated disorders. Dr. Mardinoglu is co-founder of two companies focusing on the development of therapies for liver associated diseases. To develop novel strategies for prevention and treatment as well as to gain detailed insights about the underlying molecular mechanisms of liver diseases, it is vital to study the biological functions of liver and its interactions with other tissues and gut microbiota. Biological networks can provide a scaffold for studying biological pathways operating in the liver in connection with disease development in a systematic manner. In my presentation, I will present our recent work where biological networks have been employed to identify the reprogramming in liver physiology in response to NASH/NAFLD. I will further discuss how this mechanistic modelling approach can contribute to the discovery of biomarkers and identification of drug targets which may lead to design of targeted and effective treatment strategies. Omics technologies are used in detailed characterization of human liver tissue in health and disease states. Biological network models are functional tools for exploring and integration of multiomics data. Systems biology uses a holistic and integrative approach for comprehensive analysis of the biological functions in healthy and diseased states. Systems Biology approaches have been successfully employed in hepatology to identify biomarkers and drug targets. These integrative tools can be used for simulation of liver tissue functions and its crosstalk with other tissues for prediction of therapeutic and side effects. Marina has recently become Assistant Professor at the Department of Marine Sciences, University of Gothenburg, and she is a member of the Centre for Marine Evolutionary Biology, University of Gothenburg. 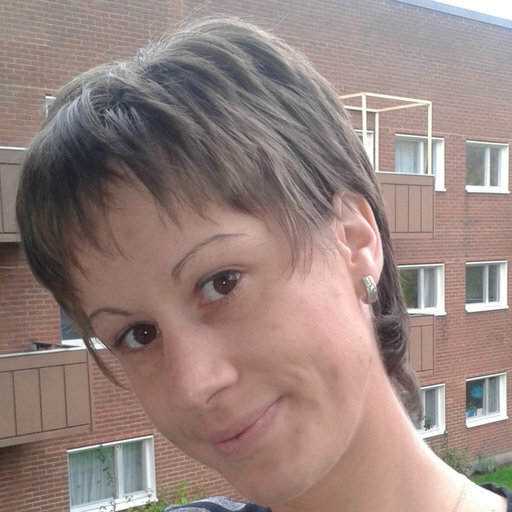 Marina has a background in Physics and Theoretical Biology. Her main research interests are within Evolutionary Biology. Specifically, she is interested in the mechanisms of speciation, species' range expansions and the evolutionary advantages of sexual reproduction. Marina's research method involves mathematical modelling (individual-based computer simulations) with model results serving as an input against which empirical genetic data are tested. Marina has recently been awarded a grant by the Hasselblad Foundation for developing her research on the evolution of populations undergoing range shifts, specifically focusing on short- and long-term potential for local genetic adaptation in expanding populations. Evolution, the change in the heritable characteristics of biological organisms over successive generations, is the fundamental process responsible for producing and maintaining biodiversity. Over time, an evolving species may face either extinction (e.g. due to the poor potential of its individuals to cope with environmental conditions they encounter), or speciation – the species' split into two (or more) reproductively isolated species (e.g. when individual populations of the species encounter contrasting environmental conditions). Distinguishing the evolutionary mechanims leading to the former or the latter outcome is challenging to date. However, because heriatable characteristics have a genetic basis, patterns of genetic variation within a population are necessarily shaped by the evolutionary history of the population. Therefore, much of the evolutionary mechanism at work in a given population can be learned from empirical patterns of genetic variation in the population. Importantly, to interpret genetic data, it is necessary to produce theoretical expectations for how different evolutionary mechanims and their interplay shape genetic variation during evolution. In this talk, I will highlight some of the recent theoretical advances in the field, specifically focusing on new theoretical insights and open questions in speciation research. Associate Professor at Umeå University and part of icelab. Eric's research explores the conditions that make it possible for multicellularity to evolve and the impact being multicellular has on the evolution of complex life. In essence, he is interested in how simple organisms evolve into complex ones. Eric's journey to IceLab was long and wandering. He graduated from Rice University in Houston, Texas with a degree in Computational and Applied Mathematics. He then drove to Montreal to do a PhD with Leon Glass at the Center for Nonlinear Dynamics at McGill University. There Eric modeled genetic networks, did some bioinformatics/systems biology, and taught mathematical biology to physiology students. Afterwards, Eric did a stint as a science journalist in Washington DC as part of a AAAS Mass Media Fellowship. He left North America for the South Pacific to do a postdoc with Paul Rainey in microbial evolution at the New Zealand Institute for Advanced Study. Missing snakes and uncuddly plants, his next position was as an Omidyar fellow at the Santa Fe Institute. After hiking in the arid, sunny Southwest he moved with his family to Umeå to see winter before it goes extinct from the world. I will in this presentation give an overview of a new technology we have developed for systems medicine, which centers around the concept of a "digital twin". A digital twin is a computer model of of a patient, which has a similar physiology as the patient. This twin can be used for both diagnosis, based on an examination of the patient as he/she is right now, and for prognosis, by doing simulations of how the patient is likely to respond to future treatments, such as medications, exercise, or a change in diet. In all instances, the user can ask the question "why" a certain prediction is obtained, since the model is based on the actual physiological and biochemical processes. Each part of the model has been carefully tested, by an iterative process of data analysis and new experiments, before it has been added to the big picture. The resulting model focuses on the interplay between processes related to metabolism, inflammation, neuronal activity, blood flow, and other processes related to the metabolic syndrome. However, thanks to the physiological structure of the model, it can readily be expanded to include additional processes, if future usages so require. In that sense, this technology goes beyond traditional narrow AI, and lays the foundation for a general AI in healthcare. Apart from healthcare applications, I will also demonstrate how our model is being used in basic research and in drug development. Binding of transcription factors (TFs) to gene promoter regions is one of the main drivers of gene regulation, but the exact mechanism and effects are not well understood. As regulation of gene expression is one of the major determinants of cellular phenotype a deeper knowledge of gene regulation is important for understanding cellular behavior and improved metabolic engineering strategies. Many TFs are only active in certain conditions and some TF binding events show no apparent effect on gene expression, making the effects difficult to decipher and to understand. Using the recently developed ChIP-exo method one can identify the binding sites and strengths for a TF with a higher resolution and with less background than previously possible. Machine learning approaches have been used in many applications to decipher patterns in large datasets, like speech recognition or predicting cancer treatment outcomes. The large datasets generated by ChIP-exo could also provide a strong basis for a machine learning model linking TF binding events to RNA expression levels. The successful construction of an expression-predictor should then provide valuable insight into the complex interplay of different TFs binding to the same promoter. In our project we collected ChIP-exo data from Saccharomyces cerevisiae for a number of different TFs in four different metabolic conditions. Using tree based machine learning methods we are generating a gene expression predictor that can then be used to predict expression levels for altered promoters in metabolic engineering projects. Rule-based modeling (RBM) is a paradigm for describing combinatorially complex stochastic processes with an underlying dynamic network structure through a finite set of rewrite rules. In this talk, I will give an overview of RBM – illustrating how it can be used to model biochemical processes in particular – and present some preliminary work on the automated generation of rate-equations and ODEs tracking higher-order statistics from a large class of rule-based systems. Drug resistance is one of the main challenges that limit the therapeutic potential of existing cancer treatments. Therefore, designing therapeutic strategies that restore the sensitivity of cancer cells would be greatly beneficial. In this talk, we present a multiscale model devoted to the interaction between multiple myeloma (MM) and potential treatments. In this model, MM cells are represented as individual objects that move, divide, and die by apoptosis. Their fate is determined by intracellular and extracellular regulation, as well as the treatment. We use the model to explore the effects of treatment protocols consisting of a tyrosine-kinase inhibitor (TKI) and a pentose phosphate pathway (PPP) inhibitor. Numerical simulations suggest an interval for the daily dosing of the PPP inhibitor that maximizes the anti-myeloma effects of the TKI. Furthemore, they demonstrate that the combination of high-dose pulsatile TKI treatment with high dose continuous PPP inhibitor therapy can potentially eradicate the tumor. The model predictions can be used to design clinical trials in the future. Crosstalk in biology is any phenomenon by which an intracellular signal transmitted in one signalling pathway creates an effect in another pathway. Typically, to study these pathway interconnections perturbation of the signalling system is involved. Unfortunately, perturbations often produce noise which causes a major challenge in identification of interconnections. Employing systems biology approach by developing appropriate models can provide minimal intervention in these systems. Typically, signalling pathways are modelled by ordinary differential equations. However, creating dynamical models of signalling pathways of a realistic size is still an obstacle. To overcome this problem, we developed a vector-based reaction-contingency Boolean logic model of the yeast Saccharomyces cerevisiae nutrient sensing pathways cAMP-PKA, Snf1, Snf3-Rgt2 and TOR pathway. To increase the information content of Boolean model from simple 'active' and 'inactive', we assigned a vector to each component describing following features: localization, phosphorylation status, guanylation status and DNA binding status. We found during the gap filling process that most lacking components are phosphatases which exposes a lack of knowledge on phosphatases involved in the sensing process. The gap filling process also identified crosstalk from the PKA and Snf1 pathway to other pathways as a vital aspect to make the model switch between nutrient conditions. We simulated the model with known crosstalk combinations. Subsequent analysis of the simulations that the crosstalk from the Snf1 pathway to the Rgt2/Snf3 pathway contributes to the robustness of this signalling network. Altogether, this work shows that network interconnections lead to the robustness of signalling pathways. A growing body of evidence confirms the important role gut microbiota have in health and disease, but the detailed mechanisms of interaction between gut microbiota and host are unknown. Given the difficulties in experimentally studying these interactions both in vivo and in vitro, computational approaches useful for determining which microbial species interact with which host factors may greatly enhance our understanding of this interaction and identify which mechanisms are most promising targets for detailed experimental studies. We have developed a stepwise analysis pipeline, in which rank correlations between microbial species and host factors are utilized as a proxy for estimating the grade of interaction between the respective variables, and plotted as network graphs to facilitate the intuitive interpretation of these interactions. The relevance of the respective interaction in the pathophysiology of diseases is estimated by both statistical testing and comparisons between healthy and diseased individuals, as well as by creating a multiplex network graph associating network motifs to key symptoms. We have tested the applicability of this pipeline in a pilot study on humans, utilizing data from healthy individuals (HC) as well as patients with Irritable Bowel Syndrome (IBS), a gastrointestinal disorder characterized by various chronic symptoms and incompletely understood pathophysiology. In this pilot study, network motifs, indicating close associations of the respective variables, were identified in both groups. A comparison between HC and IBS showed distinct differences in network structure, indicating differences in host-microbiota interaction between these two groups. Network motifs which were present in IBS but not in HC were additionally linked to key symptoms, supporting the relevance of these variables for understanding IBS pathophysiology. This pilot study therefore confirmed our stepwise integrative analysis pipeline as a useful approach for improving our understanding of host-microbiota interaction in health and disease. Since the introduction of image correlation spectroscopy (ICS) (Petersen et al. 1993), the family of fluorescence fluctuations spectroscopy methods has grown richer with the appearance of novel variants of previous techniques. All ICS methods analyse the fluctuations of the fluorescence signal in order to quantify relevant parameters of the processes that cause the fluctuations. These methods can be classified based on whether fluctuations are considered over time and in space. Raster image correlation spectroscopy (RICS) was first introduced in Digman et al. (2005) as a method to study molecular transport in solution and in cells. RICS registers both the temporal and the spatial intensity fluctuations by scanning a laser beam over a sample, and exploits the fast pixel-to-pixel and line-to-line sampling to analyze the fluctuations. The fluorescence intensity fluctuations are caused by the dynamics of the particles, including, but not limited to, diffusion, flow, and binding. In RICS, the fluorescence fluctuations autocorrelation function is mainly used to determine macroscopic phenomenological parameters, such as the diffusion coefficient and the concentration of the molecule of interest. These parameter estimates can be obtained by fitting the model autocorrelation function to the empirical autocorrelation computed from a series of images. In my talk, I will give an introduction to the statistical analysis of fluorescence correlation spectroscopy methods and in particular RICS. In addition, I will show how these techniques can be used to measure diffusion of proteins inside cells. There is an ever-growing need for safe and reliable medicines in the world. Drug development is a lengthy and costly process, largely due to the lack of reliable models to use during the development process. The liver plays a key role in metabolizing most foreign compounds such as drugs, and therefore its main parenchymal cell type – hepatocytes – are used in drug development to study efficacy and safety. However, the culture environment matters greatly, and conventional 2D cultures fall short in both viability and functionality. Here, I present my research on liver-on-a-chip, a fully perfused 3D culture model for culturing both immortalized and induced stem cell-derived hepatocytes, refined through flow simulations and experiments. Recently, a constraint-based method for modelling metabolism that incorporates genome-scale protein abundance measurements and kinetic parameters, as maximum capacity constraints, (GECKO) has been developed. It has been successfully applied for predicting overflow metabolism and stress responses on Saccharomyces cerevisiae cells. Although the method was conceived in a general way, its main limitations are the heterogeneity on the availability of kinetic data for different organisms and the intrinsic high variability on absolute proteomics datasets. Here I present an extended and generalized version of the GECKO toolbox. The algorithm is able to generate enzyme constrained models (ecModels) with high parameters coverage, even for poorly studied organisms, based on phylogenetic distance criteria. For improving the predictive power of the models, an iterative and data-based parameter curation procedure has been integrated into the model construction algorithm. The toolbox requires minimal human interaction and provides high-quality models, calibrated with experimental data and ready for simulations. As case studies, the pipeline has been tested on 4 different microbial organisms (3 yeast species and E. coli), yielding feasible models with high flux variability reduction due to the incorporated additional constraints. Moreover, the pipeline has been extended and adapted for the generation of ecModels for specific human cell-lines or tissues, this has allowed a detailed exploration of the metabolic network of 11 different cancer cell-lines, yielding numerical predictions that reasonably agree with experimentally measured growth rates and metabolites exchange fluxes, all of this with a minimal amount of constraints compared to classical genome-scale metabolic modeling. During embryonic development cartilaginous structures develop that later densify into bone and thus form the basis for the embryo's skeleton. Understanding the cellular dynamics responsible for the correct shaping and growth of the cartilage is of high importance. We build a computational model of a cartilage sheet to study the interplay between different mechanisms. It combines a center-based model for the cellular mechanics with rules governing the cellular behavior based on biological observations. Our preliminary results confirm that oriented cell division is necessary for obtaining the column-like structures observed in flat cartilage sheets in vivo. Further questions to study include how the smooth border of the sheet is controlled, and how different cartilage shapes depend on the initial placement of the progenitor cells. One of the key parameters in understanding complex metabolic networks are the metabolic fluxes, which are the rates of conversion of metabolic intermediates. Currently, one of the main approaches for determining these fluxes is metabolic flux analysis (MFA), in which isotope-labelled compounds are introduced into the system and measured. Mathematical models are then used to calculate a prediction of the systems flux configuration, based on the distribution of these isotopic labels. However, the current paradigm of MFA lack established methods for validating that a model can accurately predict quantities for which there are no experimental data. In this study we propose and evaluate a new approach for validating the predictions of metabolic fluxes from 13C MFA models and showing that such predictions can be well determined. A mathematical model that covers parts of the central human metabolism was created and evaluated with regards to the model’s ability to predict a validation dataset, having been fitted to an estimation dataset. Furthermore, if the model could predict metabolites for which it had not been fitted towards, the uncertainties of such predictions were determined. The results conclusively showed that 13C MFA models can be validated against experimental data that the model has never seen before, with well determined prediction uncertainties. This allows for greater trust to be placed in the models and could allow them to take on a larger role in the development process of new treatments or medicine for various diseases. In response to environmental changes the cellular functions are reprogrammed. Transcription factors play an essential role in this regulation. Through physical contact with either proteins or DNA the transcription factor alters the gene expression. Reconstruction of transcriptional regulatory networks require in depth understanding of these protein-protein or protein-DNA interactions. We performed whole genome analysis of the protein-DNA binding at high resolution (Chip-exo) of twenty-one Saccharomyces cerevisiae transcription factors, in response to four different environmental conditions in chemostat cultures. Because the targets of a transcription factor may differ depending on environmental conditions, the four different conditions will enable us to find the responses of each transcription factor. Combining the binding profiles and targets of each transcription factor with transcriptome data and metabolic pathways we can start to unveil the complexity of the regulatory network machinery. Dealing with missing data in any data analysis is inevitable. Although there are powerful imputation methods that address this problem, there is still much room for improvement. Recently, Variational auto-encoders (VAEs) received a lot of attention as imputation methods. VAEs are generative models that use variational inference combined with auto-encoders to learn the underlying representation of data by reproducing them. This property makes it possible to use them as imputation methods. In this study, we propose a new structure for the variational autoencoder (VAE) prior, with the weakly informative multivariate Student-t distribution. In the proposed model all distribution parameters are trained, thereby allowing for a more robust approximation of the underlying data distribution. We used Fashion-MNIST data in two experiments to compare the proposed VAE with the standard Gaussian prior. Both analyses showed a better reconstruction of the images with VAE using Student-t prior distribution. Possible applications of the method are in proteomics (e.g. protein profiling of breast cancer cell lines) and gene expression measurement for somatic mutations in lung cancer. In many applications within biology and medicine, measurements are gathered from several entities in the same experiment (e.g. patients, cells, tissue samples) with the aim of characterizing for example response to a specific drug treatment or other stimuli. To characterize the variability in response between entities, the nonlinear mixed effects model is a suitable statistical model. A nonlinear mixed effects model enables quantification of both within- and between subject variability. Parameter estimation in a nonlinear mixed effects model is not straightforward, due to the intractable expression of the likelihood function. Approximations of the likelihood function or other MCMC-based approaches are typically used to infer parameters from data. Several parameter estimation software are available, but few have reached the academic community. In this work, we present a framework for parameter estimation in nonlinear mixed effects models with a longitudinal response model described by ordinary differential equations. The framework is implemented in the computational environment Mathematica. The estimation algorithm is based on the FOCE approximation of the likelihood, and the symbolic capabilities of Mathematica is used to enable a gradient-based optimization method using sensitivity equations (denoted S-FOCE). Moreover, extension to stochastic differential equations is also supported. We exemplify the framework using data from a simulated pharmacokinetic (drug concentration) model. The implementation enables a user-friendly framework for parameter estimation in nonlinear mixed effects model with ordinary or stochastic differential equations. Moreover, the proposed method has been shown to reduce computational time and has lately been implemented in the industry-standard software NONMEM 7.4. Over the last 5 years our group have developed a detailed mechanistic model, which can explain the core mechanisms involved in insulin signaling from insulin stimuli to glucose uptake. However, the model in its current state is only able to explain 10 proteins, with up to a maximum of 2 phosphorylations per protein. We are developing a new method where small-scale mechanistic models, such as the described insulin model, can be scaled to omics-sized models without losing the mechanistic properties. This scaling can be achieved by using high-throughput data in combination with established prior knowledge in order to expand the "core model" in an iterative fashion. In detail, the core-model is expanded in an iterative fashion by using the core-model as input and attempting to add as many proteins as possible (with constrains on how well the model must explain the data) using a list of possible interactions from prior knowledge. These newly added proteins are then used as new potential inputs for the next iteration. This process is repeated until no more proteins can be added. In the end we have an omics-scale mechanistic model, which is in agreement with data and prior-knowledge. This model can then e.g. be used for finding new drug targets or to study the behavior of phosphoprotein levels in high-resolution. (1) Department of Biomedical Engineering (IMT), Linköping university. (2) Department of Mathematics (MAI), Linköping university. (3) Department of Physiology/Metabolic Physiology, Institute of Neuroscience and Physiology, University of Gothenburg. Adiponectin is a hormone secreted by the adipose tissue, involved in the regulation of glucose levels and fatty acid breakdown. Furthermore, adiponectin has insulin sensitizing properties and an inverse relationship to adiposity, thus higher circulating levels of the hormone has been associated with a lower risk of type 2 diabetes (T2D). Since T2D is a prevalent, harmful and preventative disease, it is of importance to understand how adiponectin is secreted. Previously, we have developed a mathematical model of how adiponectin is released in response to Ca2+, cAMP and ATP during patch-clamp experiments in white adipocytes (3T3-L1 cells). We are now extending this model to also account for extracellular stimulus of epinephrine and CL 316,243 (an adrenergic β3 receptor agonist). By doing this extension we are shifting the model towards being more physiologically relevant. Thus, the secretion model has the possibility to be connected to other already established adipocyte models. Also, since some of these adipocyte models are able to simulate T2D, we could possibly predict the change of adiponectin release in T2D, or how a change in adiponectin release affects e.g. glucose uptake in other tissues. The workshop will be held at the Wallenberg Conference Center, room Europe. Prolonged: Until 5th April 2019 25th April 2019. Participants/presenters will be continuously contacted as soon as possible after registration. 800 SEK for senior academic and non-academic participants. PhD students will be able to receive 1.5 credits from the University of Gothenburg when presenting a poster or holding a talk. The corresponding official course information can be found here. Depending on the number of registered participants, we want to reserve the right to limit dinner participation to presenters, observing PhD students and PostDocs as well as fee-paying participants. However, feel free to sign up for the dinner even if you are not part of this group. We will let you know if there is enough space. I hereby give my consent that the information provided above is stored for the purposes of organizing this workshop.